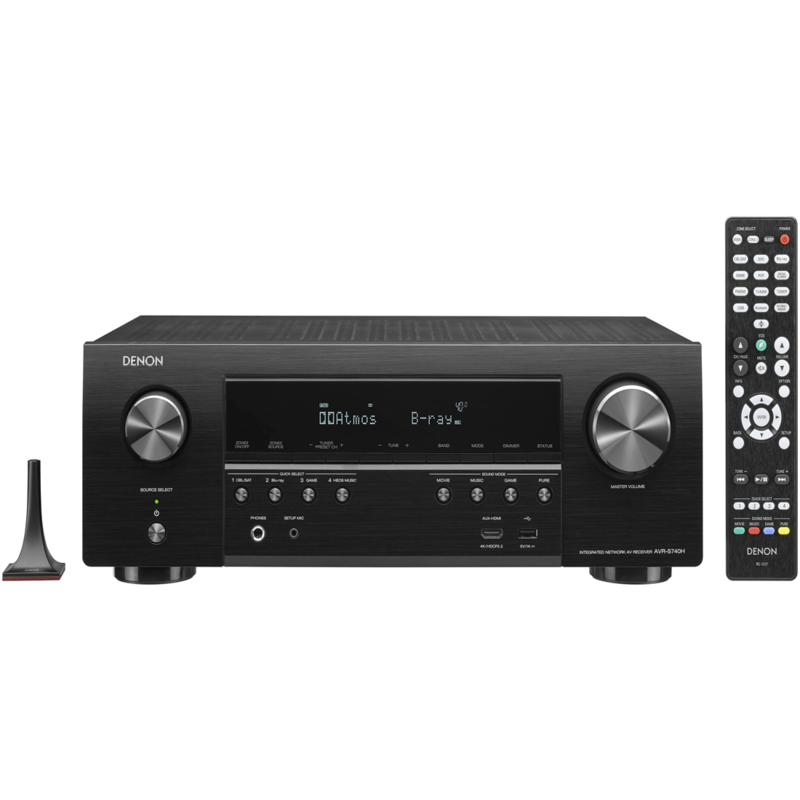 Experience immersive home theater with the 7.2 channel Denon AVR-S740H. Featuring Dolby Atmos, DTS:X and DTS Virtual:X support. 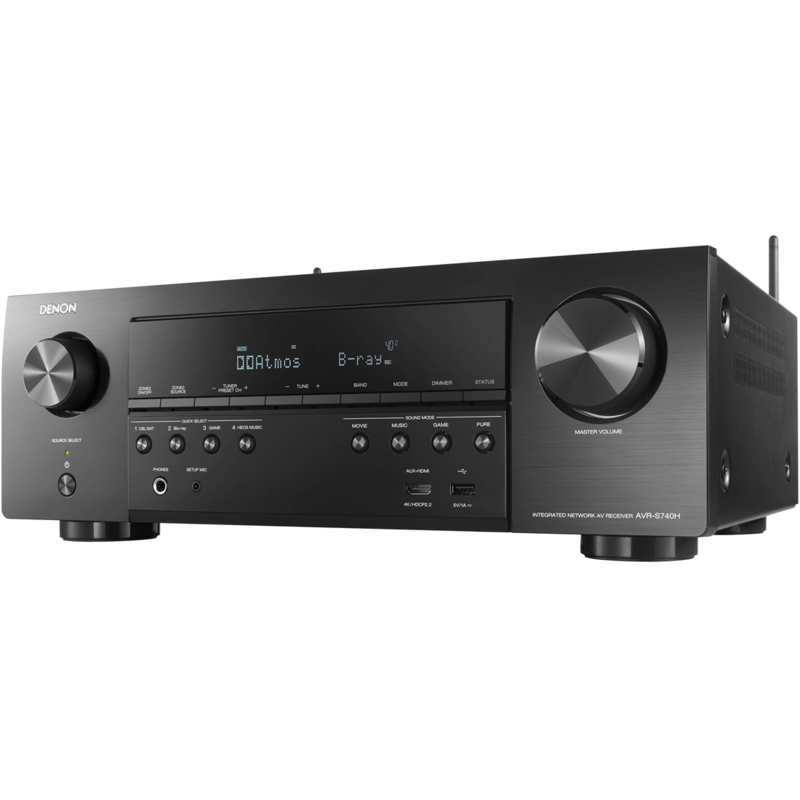 The Denon AVR-S740H features an advanced HDMI section (6 in/1 out) and the latest video technologies such as Dolby Vision™, HDR, HLG and 4K video pass-thru. Stream music from Spotify, Pandora, Tidal and more to anywhere in your home with HEOS and control the AVR with Amazon Alexa voice compatibility. 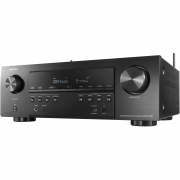 Power truly immersive home theater experiences with the Denon AVR-S740H. Enter the action with Dolby Atmos, DTS:X and DTS Virtual:X three-dimensional surround sound, while enjoying the best video experiences such as Dolby Vison, HDR, HLG and 4K video upscaling. Play your MP3, WAV, FLAC, ALAC and DSD (2.8/5.6MHz) files via the front-panel USB, or stream Spotify, Pandora, Tidal and more with built-in HEOS technology. Control the AVR with Amazon Alexa voice compatibility. With an award-winning Setup Assistant, the Denon AVR-S740H is just as easy to setup as it is to enjoy. 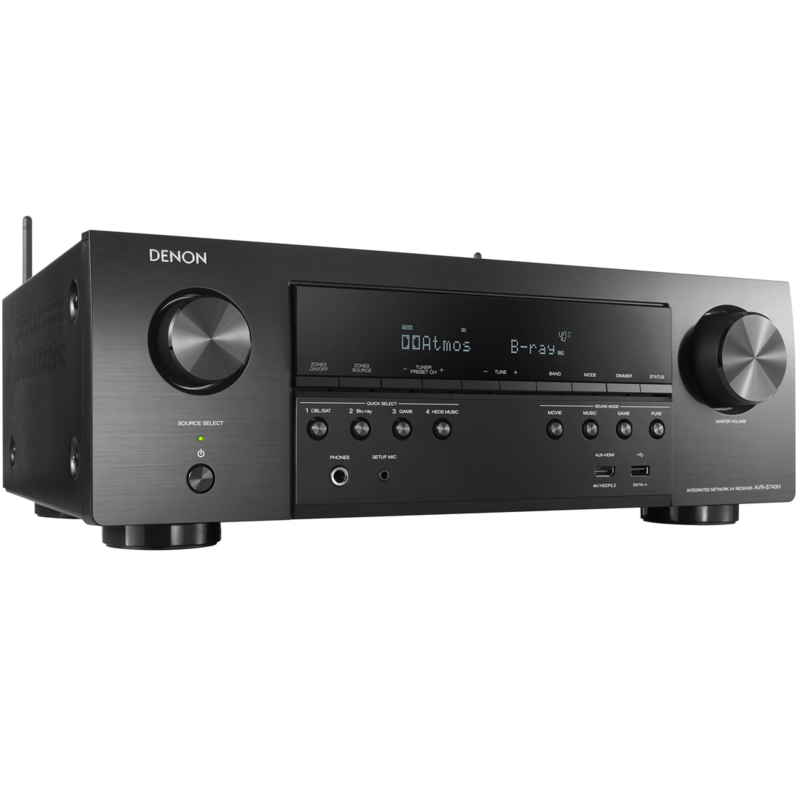 Featuring discrete high-current power amplifiers on all channels, the Denon AVR-S740H delivers maximum performance and 165 watts of power per channel (6 Ohm, 1kHz, 1ch driven, THD 10%). 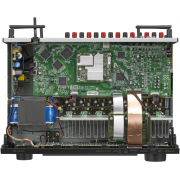 With low impedance driver capability, it offers operational stability with a wide range of speakers for balanced, quality sound. 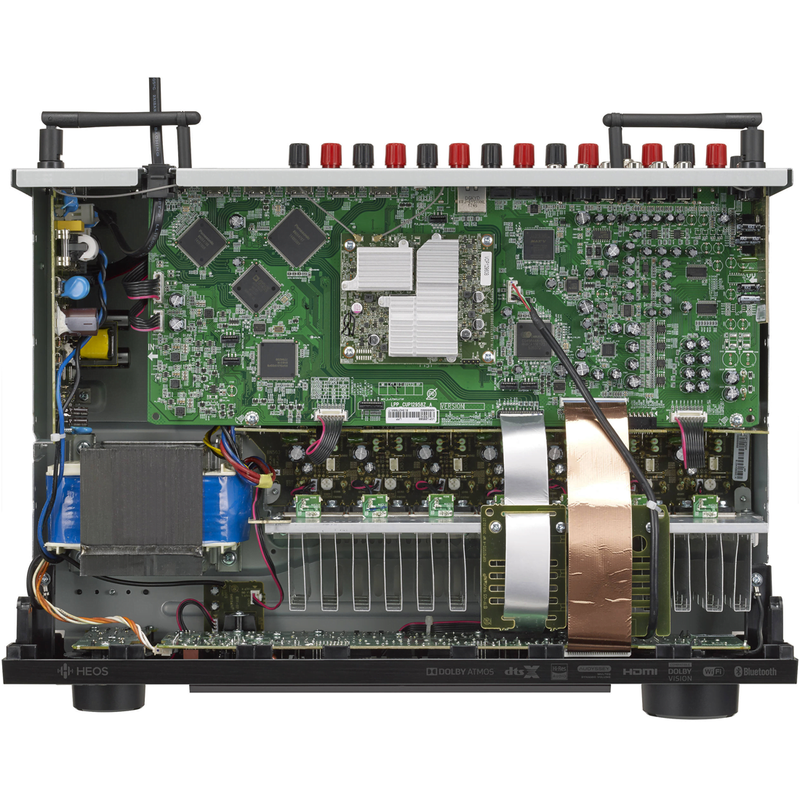 Plus, auto Eco Mode adjusts power output to speakers based on volume level and on-screen eco meter, providing power consumption reduction in real-time. Control the AVR hands-free with Amazon Alexa and your voice. Adjust the volume, skip to the next track, switch inputs for your different media players and more — “Just Ask.” Download the HEOS Home Entertainment Skill to enable Amazon Alexa voice commands for your Denon AVR-S740H, HEOS devices and other select Denon products. 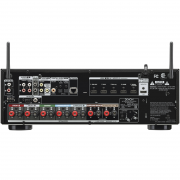 The Denon AVR-S740H features six HDMI inputs and one output — including one input on the front panel — that support full 4K Ultra HD, HDR (High Dynamic Range), BT.2020, Wide Color Gamut and 4:4:4 Pure Color sub-sampling. Dolby Vision compatibility and HLG (Hybrid Log-Gamma) provide exceptional brightness, contrast and color, and HDCP 2.2 processing lets you enjoy copy-protected content uninhibited. 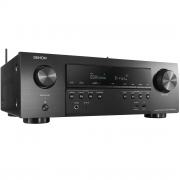 The Denon AVR-S740H supports High Dynamic Range (HDR) video format. It is even ready for Dolby Vision and HLG (Hybrid Log Gamma). Dolby Vision transforms the viewing experiences with astonishing brightness, contrast, and color. HLG offers HDR technology over broadcast content. 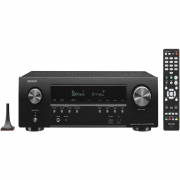 Control the Denon AVR-S740H with your Smart TV remote via the HDMI CEC functionality associated with your Smart TV. 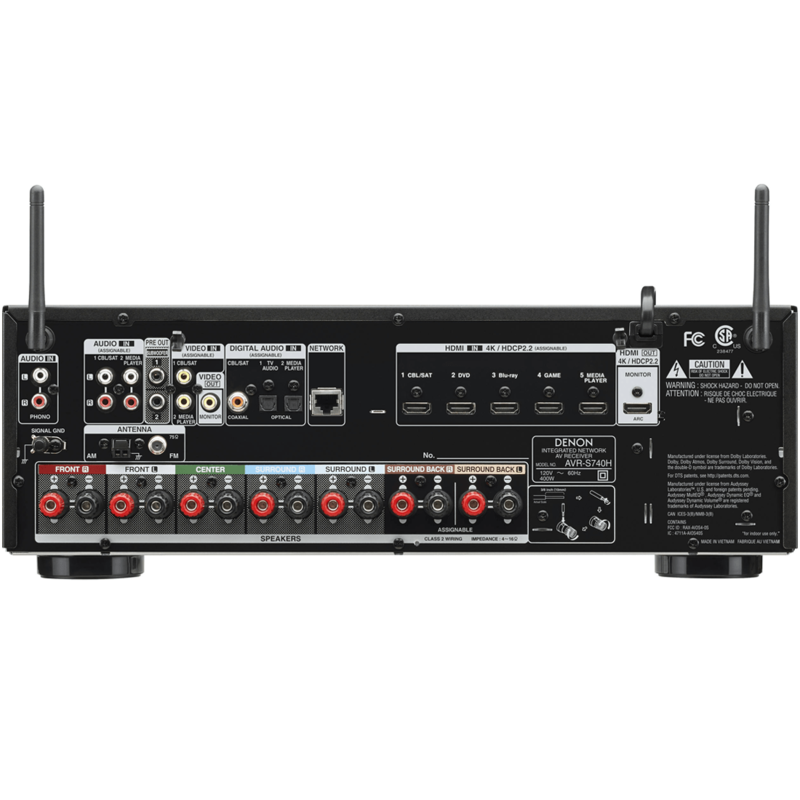 Simply set “HDMI Control” to ON in your receiver, then set “Smart Menu” to ON and begin controlling the AVR-S740H with your TV remote. The Smart Menu home screen provides you quick access to source and surround mode selections, the AVR’s setup menu and four Smart Selects. Better control in your back pocket. The Denon AVR Remote app for iOS and Android makes using the Denon AVR-S740H even easier — adjust volume, turn it on or off, mute the music, select a source or switch to HEOS. Download the Denon AVR Remote app to your smartphone today.